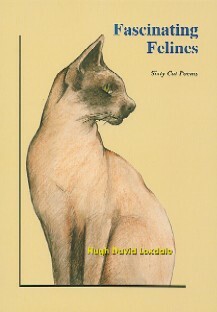 This collection of 60 poems, some philosophical, many amusing, comprises an exploration of the nine lives of cats, very much from a zoologist's perspective, including their variety, beauty, sensuality and independence - and their skill as 'pets' too, partially adapting their behaviour to ours. And on them proceeds to duly parade! Being more content to purr and meow. And she's gone with a bound. Have you Fed the Cat Yet? To test her hungry mood. And refused to purr for you.